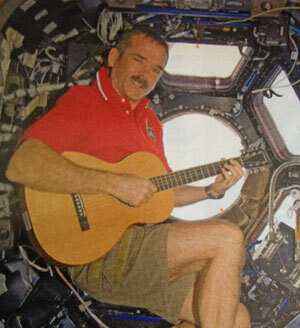 Chris Hadfield… my new hero, (sorry Michael Palin your time is up, unless you're planning on going to space anytime soon! ;). 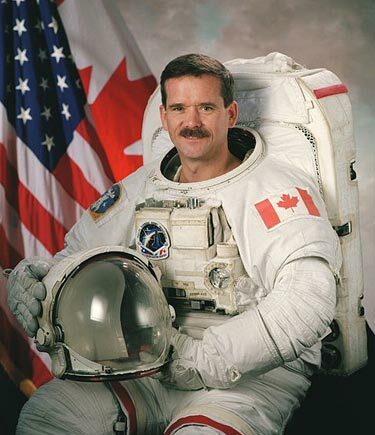 Chris is of course the worlds coolest and most famous guitar playing, moustache wearing Canadian astronaut. Seriously, I love this guy, smart, articulate, focused, (since the age of 9 dreamt of becoming an astronaut) and not only can he play guitar and sing but he's done it in space. Inspirational. Did I say I love him or hate him just then, I can't remember! 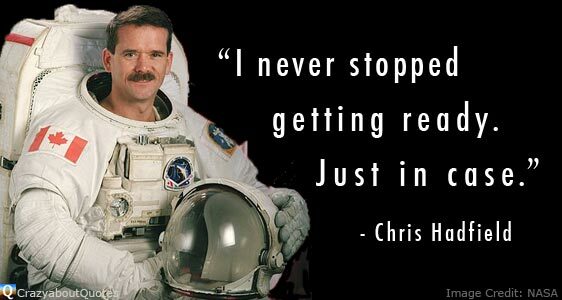 So anyway, brought to you straight from planet Earth some inspirational Chris Hadfield quotes folks. "At that moment, I knew what I wanted to do with my life. I was going to follow in the footsteps so boldly imprinted just moments before. 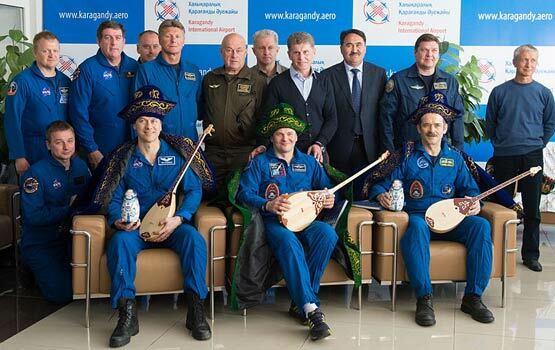 Roaring around in a rocket, exploring space, pushing the boundaries knowledge and human capability - I knew, with absolute clarity, that I wanted to be an astronaut." "My dream provided direction to my life. I recognized even as a 9-year-old that I had a lot of choices and my decisions mattered. What I did each day would determine the kind of person I'd become." "The odds of becoming an astronaut were nonexistent, I knew it would be pretty silly to hang my sense of self-worth on it. My attitude was more 'It's probably not going to happen, but I should do things that keep me moving in the right direction, just in case - and I should be sure those things interest me, so that whatever happens, I'm happy." "Fighter pilots live to fly, but while I love flying, I live to understand airplanes: why they do certain things, how to make them perform even better." "As I have discovered again and again, things are never as bad (or as good) as they seem at the time." "The socks I am about to put on are the ones I'll wear to leave Earth." "I am actually leaving the planet today." "We'd done something difficult and done it well. Mission accomplished. Dream realized. "You're in a self-contained bubble, cut off, then you look up from your task and the universe rudely slaps you in the face. It's overpowering, visually, and no other senses warn you that you're about to be attacked by raw beauty." 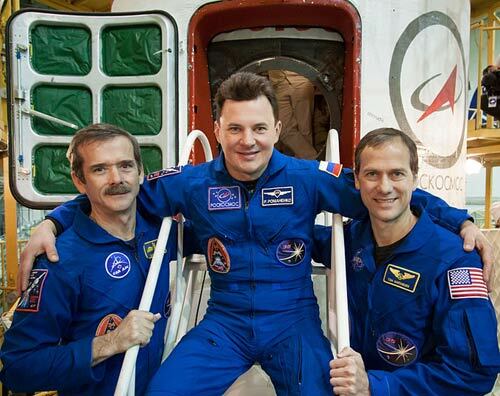 "A funny thing happened on the way to space: I learned how to live better and more happily here on Earth. "Over time, I learned how to anticipate problems in order to prevent them, and how to respond effectively in critical situations. I learned how to neutralize fear, how to stay focused and how to succed." "We never want to lose attitude, since maintaining attitude is fundamental to success." "There's really just one thing I can control: my attitude during the journey, which is what keeps me feeling steady and stable, and what keeps me headed in the right direction." "That's how I approach just about everything. I spend my life getting ready to play 'Rocket Man'. I picture the most demanding challenge; I visualize what I would need to know on how to meet it; then I practice until I reach a level of competence where I'm comfortable that I'll be able to perform." "I never stopped getting ready. Just in case. "Like most astronauts, I'm pretty sure that I can deal with what life throws at me because I've thought about what to do if things go wrong, as well as right. That's the power of negative thinking." "You don't need to obsess over details if you're willing to roll the dice and accept whatever happens. But if you're striving for excellence - whether it's in playing the guitar of flying a jet - there's no such thing as over-preparing. It's your best chance of improving your odds." "Have the patience to sweat the small stuff even when - actually, especially when - pursuing major goals. We've learned the hardest way possible just how much little things matter." "I check behind me, to be sure I haven't accidentally activated my backup tank of oxygen, and that's when I noticed the universe. The scale is graphically shocking. The colors, too. The incongruity is stupefying: there I was, inside a small box, but now - how is this possible? What's coming out of my mouth is a single word: Wow." "If you're only thinking about yourself, you can't see the whole picture." "The key question to ask when you're part of a team, whether on Earth or in space, is 'How can I help us get where we need to go? "Never ridicule a colleague, even with an offhand remark, no matter how tempting it is or how hilarious the laugh line. The more senior you are, the greater the impact your flippant comment will have. Don't snap at the people who work with you. When you see red, count to 10." "You have to try, consciously, to help others succeed." "Focus on the journey, not on arriving at a certain destination. Keep looking to the future, not mourning the past."